Surgical repair of cleft lip and palate (or palatoplasty) is a procedure that has both functional and aesthetic purposes. The patient is hindered by the condition as it affects both appearance and communication. With this surgical intervention, Dr. Morse can help patients with cleft lip and palate realize major improvements in speech, function and appearance. 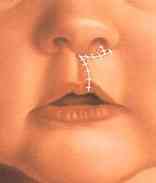 Cleft lip is identified by a narrow opening or gap in the skin of the upper lip, which extends to the base of the nose. 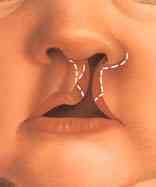 Unilateral or bilateral clefting can occur on one side or both sides of the mouth. In a cleft palate, the gap extends through the front and rear palates, as the roof of the mouth hasn't grown together properly. Children who are born with cleft palate should always be considered for surgical repair. Speech development, feeding, and growth are all important factors to examine before surgery, so it is best to start planning the operation early. Doctor Morse can help patients and their families decide on the proper timing for the procedure. The general goal of this surgery is to perform functional repair of the soft palate musculature. Often done in stages, the surgery works by repositioning abnormally oriented and attached muscles. to the upper lip. The scar left after surgery will gradually fade with time. Surgery to repair cleft palate is typically done when the patient is about 9 to 12 months old. 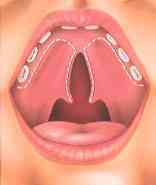 There are several techniques that can be used to close the defect and correct abnormal position of the soft palate tissues. A typical operation lasts 2 - 3 hours. Incisions are made on each side of the separation. Flaps of tissue are elevated and moved from each side toward the center of the mouth. The muscles and tissue are joined together and incisions are closed with layers of tension-free sutures. To repair cleft palate, Dr. Morse will make an incision along both sides of the cleft. Tissue is drawn together from both sides of the cleft to rebuild the roof of the mouth. Bottle fed children can resume feeding immediately after surgery for cleft lip. After about 5 - 7 days, the sutures can be removed. For 2 weeks, the child should have no pacifiers and should not have access to any toy with a pointed edge. In some cases, an elbow immobilizer is used to prevent injury to the repaired cleft lip and palate. For about 4 to 6 weeks, there may be noticeable scar contracture, redness and firmness in the treated area. During the recovery period, Dr. Morse will advise you on proper care and cleaning of the repaired area. 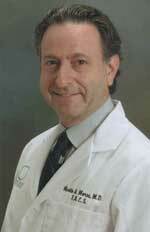 To learn more about surgery for cleft lip and palate, contact the office of Reconstructive surgeon Dr. Martin Morse.